A Large Manufacturer needed ceilings installed in a high-care environment. The objective was to provide a food-safe finish and a fully serviceable plan void with the minimum amount of downtime and disruption from food production and minimal contamination to the environment. 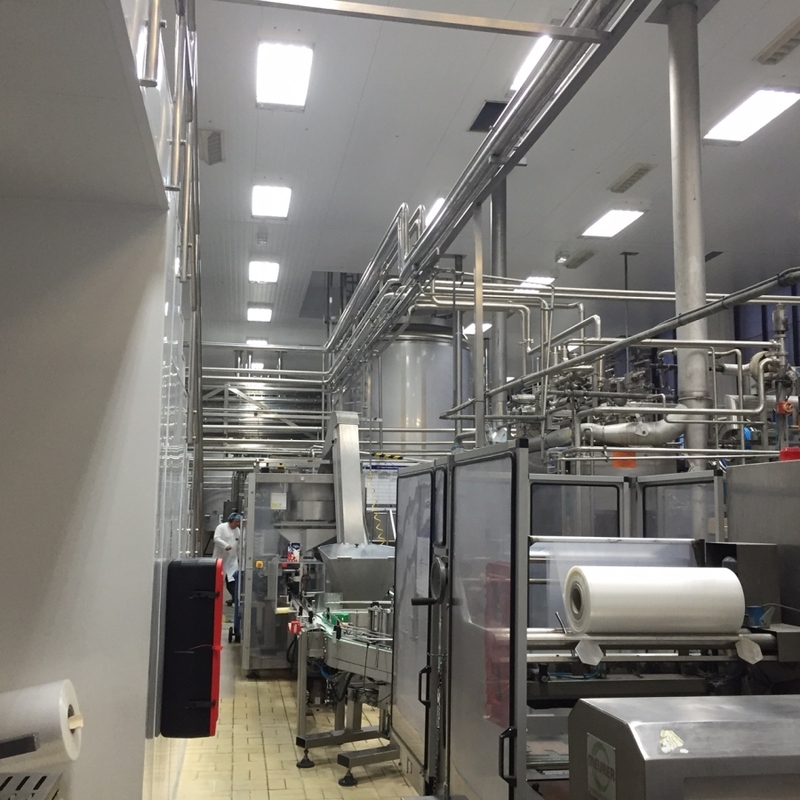 The installation of 150mm Kinspsan Composite Panel in a food-safe environment. The main dairy floor was still fully operational when the bird-cage scaffold was erected over the full extent of the floor. The scaffold had to be cleaned and inspected prior to introduction to the works area. A fully enclosed working deck was then installed, protected with a 120- gauge Visqueen. Externally, a loading bay was erected to allow the transportation of the 7metre Kingspan panels onto the deck, level with an exit and entry airlock which was set-up in compliance with the Company food-defence policy. All deliverables were met to the agreed levels and the given timeframes. HSENI have reminded all that the CDM transition period ends on 1st August 2017. DPC Contracts (NI) Limited is a Construction, Civils and Facilities Management Company with a wealth of experience, dedicated to providing cost-effective, disturbance-free solutions for our clients in the Manufacturing, Industrial, Retail and Food Sectors. Our extensive service range includes general construction, demolition and strip-out, internal fit-out, external ground works, specialist fit-out for high-end specification, mechanical & electrical installation and architectural design requirements.